To mark a significant and exciting period in my life, I made the decision a few weeks ago to make myself a mood blanket. I thought it would be a different and memorable way to document the end of my midwifery training and the beginning of my life post-university. So after gathering wool and asking my friends and family bizarre colour and emotion related questions, I started my mood blanket on Monday 19th May 2014. Now the concept of a mood blanket is to knit or crochet a small portion of a blanket, so a square or a row, in a colour that represents your emotions for that day or week. 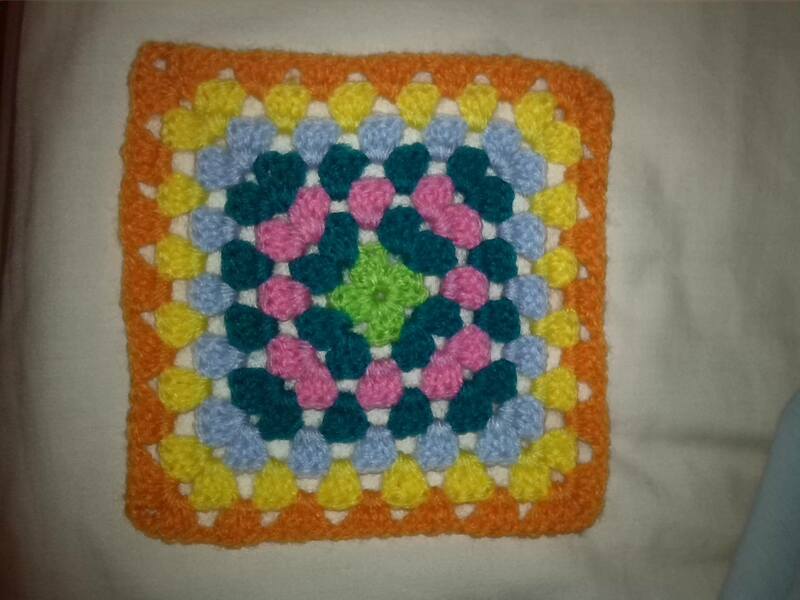 As I like to crochet I have decided to do a granny square every week. These granny squares will have seven stripes, one for each day in the colour of that day. I shall sew the squares together as I go along to assemble the blanket. Here are the colours I’m using and what emotions I have attached to them. This list will probably change and be added to as I progress with my mood blanket. So far I have one complete square which I am very proud of. I think there is a lovely mix of colours in there though it does show me how much the middle of the week took out of me. Hopefully I’ll be more enthused this coming week! I can’t wait to see my blanket develop and grow over the coming months into a huge tableau of my life and feelings. I will share updates so anyone who reads this blog can watch its progress. You never know, someone else might be inspired to get creative with some wool and make their own.